3D Printing has been the biggest buzz word in product development in the last few years. While you can find lots of little machines that squirt out plastic toys, can you really see these machines making what you wear every day? Jewellery has proven to be successful as 3D printed Fashion item. But what about shoes and clothing? 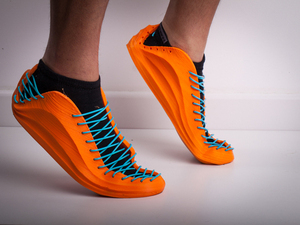 Today’s startup pioneers are using 3D printing for shoes and clothing and have developed new ways of production. But where does the industry stand now? The event will be held during Dutch Desgin week at Kazerne, the new international Creative Cluster in the heart of Eindhoven.